My stubbornness has always been explained to me as a hinderence. If I could just be less stubborn, I would get this or that or this situation would be much easier on me. For the most part, there is quite a bit of truth to that. I can look back on many situations and see where my stubbornness created unnecessary hurdles for myself. Even my parents tell me for as far back as they can remember and before I could even speak, I was stubborn. When I came across this picture I felt like it was almost validating me to some extent in that moment. I am not in the best place I have ever been right now. If I were being completely transparent I would tell you that I’m tired. Overwhelmed. Out of those strong emotions has come a heavier than normal dose of stubborn lately. But in a way that I think was long overdue. I am finally demanding more for myself in the dating world and although currently it has left me with “nobody on the list” of potential suitors (when normally there are 2 or 3 at a time), I’m ok with that. I feel stronger. 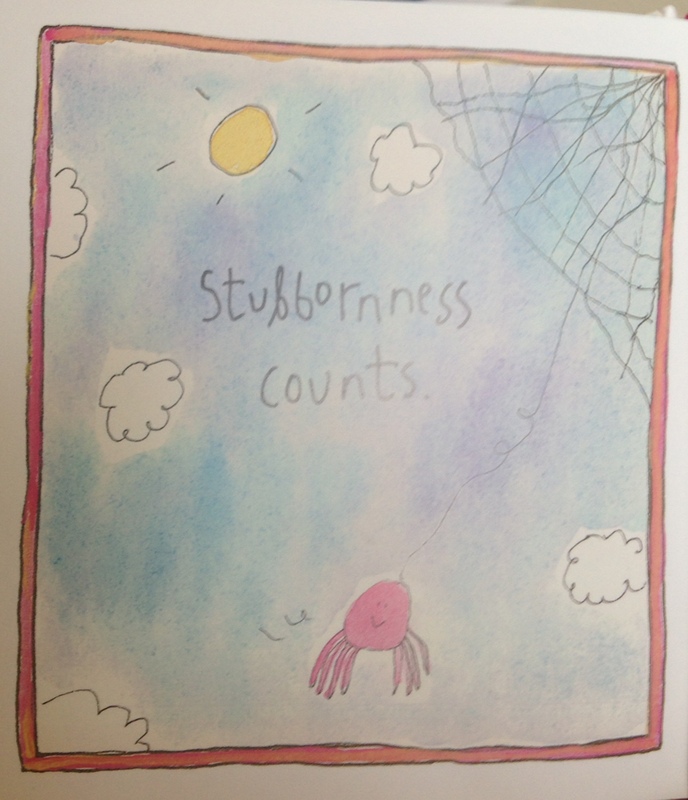 Who knew a little crab on a picture labeled as “Stubbornness Counts” would make me realize that stubborn isn’t always bad. If I look back on the times where stubborn has been the major factor in my situations, there are more times than not that I’m glad it was present. Had I not been stubborn and dead set on “truth”, I would have went back to the abusive situation I escaped. I would have fallen for the lies to get me back and I would have ended up caught in a cycle that I might not have ever been able to break free from. Had I not been stubborn with a guy who apparently only wants to see me when he is in town on business, I would’ve ended up in his hotel room late at night which probably would’ve lead to mountains of guilt in the following days for allowing him to think my only value is late at night when it’s convenient for him. Had I not been stubborn in pursuing something bigger for myself, I would still be married, on a farm, in a two bedroom concrete house with no identity other than what my mother-in-law allowed. Had I not been stubborn and stood up for myself in my evaluation at my last job, I would have still been labeled as something I am not and still been miserable working under someone who got enjoyment out of belittling me daily. The list goes on. But more times than not, my stubbornness has counted for the better. I’m happy with that. It doesn’t always make things as easy as they probably could be. It doesn’t always make me popular in the least. It even annoys me sometimes. But, it was given to me for a reason and I gladly wear it as part of my daily armor. For that, I will never apologize. What’s a trait you have that you have been viewing as bad when it could be the best part of your daily armor?